Marrakesh Museums, breathtaking vistas, local culture and thriving markets. What more could an artistic soul want from a visit to Morocco? Here are the five most beautiful areas (like Egypt) to find these treasures in Morocco. Home of the Musée Marocain, an ethnographic museum containing an exquisite collection of clothing, jewelry and housewares, the artistic soul will revel in the serenity of the terrace overlooking the Rif Mountains. Admire the intermingling colours of the orange, almond and pomegranate orchards as you meander through the city. Take a tour of the World Heritage Listed medina (old town) and meet the weavers, jewelers and leather workers dotted through the city. Remember your sketchpad and charcoal when you visit Meknès – you won’t be able to resist sketching the tomb hall in in the Mausoleum of Moulay Ismail or the luxuriously decorated salon in the Dar Jamaï Museum. If photography is your art of choice, be sure to visit Café Opera, where you can capture the local men sipping mint tea in this grand old venue. But don’t put your camera away until you’ve visited the Central Market: It’s a bustling hive of colour and personalities. An oasis in the mountains, Tafraoute provides the perfect locale for you to unwind and let your mind wander. This area is known for its low set pink houses and wind-sculpted mountains. Take a stroll through the shops and stalls and marvel at the artistic ingenuity of the craftsmen making lanterns, shopping baskets and other goods from found objects. See out the day painting the arid landscape at sunset. Essaouira is known for being an artist’s paradise and it’s easy to see why. 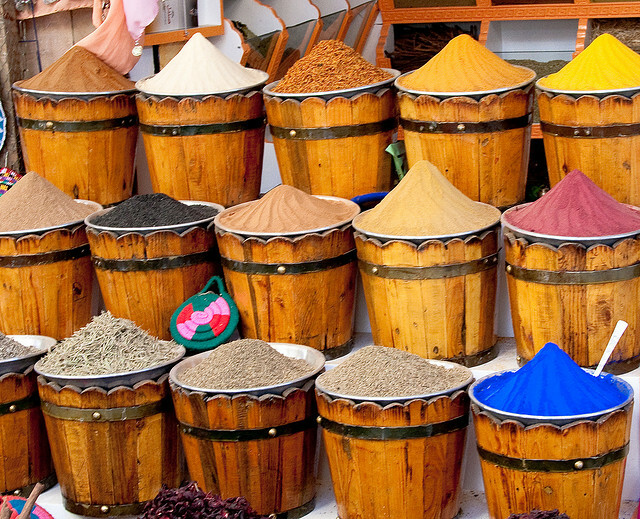 Who wouldn’t be inspired by the Spice Souq, a flurry of traders selling everything from spices to cosmetics? Or the Skala de la Ville, the ramparts offering 180 degree views of the city and its maze of winding streets? What about the Skala du Port, where you can observe the fishermen bringing in the day’s catch while the canons stand guard on the ramparts? With all of these experiences at your fingertips, you’ll be sure to leave your accommodation every day with a backpack full of your artist’s tools. Slow down and take it easy in Taroudant, a truly beautiful market town known for its town walls that are more complete than any others in Morrocco, offering shimmering canvasses of gold, orange and pink. Awaken your inner artist with a horseback ride around the valleys and mountains or walk down an orange tree lined path to observe Bab el-Kasbah, an incredible defensive tower built in the 17th century. Capture it all in your media of choice – you wouldn’t want to forget these amazing sights. Touring Morocco is really the easiest way to make sure you get to see as many of these beautiful areas as possible. Morocco tours have become more and more popular as travelers realize how previous the country is and what it has to offer. 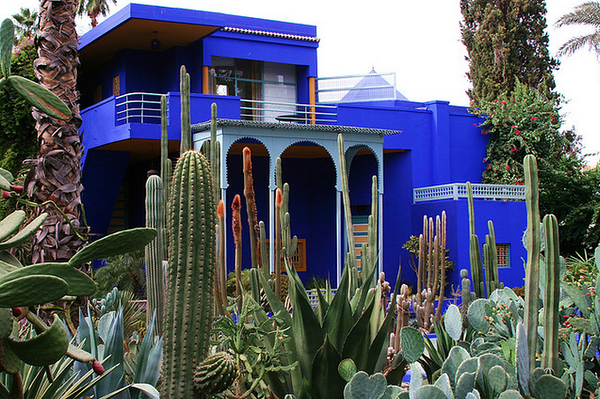 Inspire your inner artist and head to Morocco today. In the middle of Morocco, nestling at the feet of the Atlas Mountains, you will find the charming bustling city of Marrakech. Divided in two parts, the Medina (the old city) and Gueliz (the modern city), Marrakech is a city of culture, history and intriguing architecture alongside a bustling shopping center and a vibrant night life. Two of its claims to fame include the largest souk, or traditional market, in Morocco and one of the liveliest squares in Africa and possibly the world, known as Djemaa el Fna. Although hotel accommodation isn’t too expensive in Marrakech, staying around Djemaa el Fna is more expensive than other parts of the city, so if you want to stay in that area try searching for a Low Cost Holidays discount code to get a deal on accommodation. Don’t rush the souks but spend time wandering the stalls and alleyways and get a feel for the items on offer, before plunging into bargaining. Even if you don’t want to buy anything, just watching the whirl of people and flashes of color and listening to the bustle and noise is an experience in itself. Next to the Souk is Djemaa el Fna, the main square of the old city that never sleeps. The Berber people come down from the Atlas mountains to Djemaa el Fna square in Marrakech to entertain with their story-telling to the locals. In the day it is buzzing with entertainers, from musicians and acrobats, to snake charmers and sooth sayers, story tellers and dancers who continue into the night, becoming more exotic as the night falls – casting a romantic glow over the square. The drums beat, the crowd claps, the wistful sound of a song rises above the excited chatter – traditional costumes vie with the modern dressed tourists and different cooking smells tantalise and taunt the crowds, inviting them to try the many wares on offer. For many visitors this is the height of night life and they return here each evening, forsaking the bars and clubs of the modern Gueliz. For a more peaceful area, head up the Rue Bab Agnaou through the impressive ramparts to the Kasbah area – the streets here are clean and safe, as it is home to the Royal Palace and the Saadian Tombs, as well as the ruins of the El Badi Palace. You will find small bazaars, not on the scale of the main Souk, but a lot less frenzied and various food stalls and restaurants. Look for Riads to stay in – although these look drab from the outside, once inside you feel like you have been transported to a different world. With windows facing the central courts, you get the feel of being taken from the city to an inner sanctum – for extra relaxation and serenity book a massage in a Hammam. Take time to enjoy the many other varied sites in Marrakech; the Koutobia Mosque besides the Djemaa El Fna proudly displaying its minaret as Paris does the Eiffel Tower and at night it comes alive with illumination. Also take time out to visit the beautiful Majorelle Gardens, a small oasis in the hustle and bustle of city life. The early morning is one of the best times to visit; not only are there less crowds but the morning light creates some stunning visions. For those into museums the Museum of Islamic Art can be found here and not far from here is the Dar Is Said Museum. This city is a mix of old and new, custom and modern and caters for all budgets. It is possible to book a cheap holiday in Marrakech, just as it is easy to experience a luxury retreat. Whatever your price range, remember to check for any discount codes for cheap flights. From backpacking to five-star hotels: there really is something for everyone. 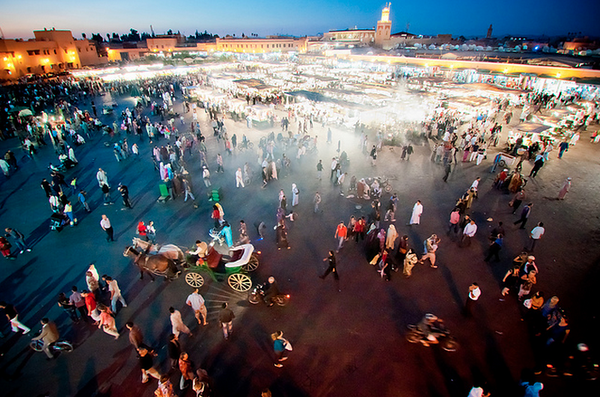 Marrakesh is a city that stands out from many other places around the world. You can be sure to leave this place with a complete brain-overload full of strange, new impressions. As always in Marrakesh no matter where you go, you are welcomed with tea (it was the best mint tea I’ve ever tasted). You will find them bringing it out so quickly that you find yourself with a hot glass even before you know whether you want to even stay or leave. So I took the mint tea, sat down and looked around. Every area of this small pharmacy was covered from top to bottom with shelves full of delicate glass bottles – each one looking stranger than the next. The bottles were filled with liquids in strong vibrant colors and came across looking rather poisonous. Some had strange plants and branches inside, others had things my imagination couldn’t even describe. I wouldn’t have been surprised if I suddenly saw a head in one of the bottles..! The pharmacist asked us what we’re looking for, and we became a little hesitant. We weren’t really looking for anything, we just wanted to browse, but we didn’t really feel like that was a good enough answer, so we made up a few things like coughing medicine etc. An hour later we stumbled out of the pharmacy with two big bags full of herbs, oils and liquids, confused but happy. And to be honest, I’ve been using the herbs I bought there a long time after. Since then I’ve become much more interested in medicines from other cultures and what they use to cure every day illness. I would love to visit more of these street corner pharmacies, in fact I think I might make it my thing. The British are mad about Morocco – and it has nothing to do with international disputes! The African country is one of the most popular sites for luxury holiday destinations among the British because of its fantastic weather, fascinating places, and friendly people. Let’s just admit it – Morocco can be your home away from home during your luxurious vacation no matter how short it may be. But before undertaking your luxury holiday in Morocco, you must first educate yourself about the place and its people. 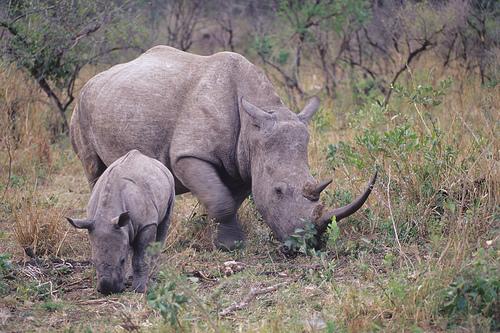 Yes, it is an exotic gateway to the spectacular Black Continent but there is more to it than meets the eye. Who says that luxury weekend breaks in Morocco have to be so laid-back as to be almost sedentary? The most westerly of African countries has everything that week-enders will want, from the peaks of the High Atlas to the dunes of the Sahara, from the glorious beaches fronting the Mediterranean Sea and the Atlantic Ocean, and from bustling Casablanca to the hidden jewels of its resorts. This is a place where the term luxury holiday takes on another meaning, one where you can choose to be laid-back on your hammock or to be adventurous on the dunes. Regardless of your preference for tailor-made holidays in Morocco, you can look forward to luxurious accommodations, sumptuous food and beverages, and outstanding service. This is luxury at one of its best and it can be found in the exotic land known for its colorful patterned rugs. How can you not fall madly in love with such a place? The Moroccan people are rightfully proud of their culture including their traditions. Berbers, Arabs and Saharawis, among other ethnic groups, largely live with each other in peace although it must be said that said peace was not without its price. Today, the country is an intriguing mix of the ancient and the modern – a cliche mainly because it is true. While the features of encroaching modernity like skyscrapers and motorways are present, the traditional features of mosques and Kasbah still dominate the landscape. You can enjoy the best of both worlds in a single luxurious weekend! But why spend just one weekend in the fascinating country when you can come back again and again and again? Hand felted hats on a side street in Marrakech. I love the contrast between the colorful hats and the worn down street. Be prepared for pleasant surprises regarding the ingenious ways that the Moroccan people have combined their ancient traditions with modern lifestyles. 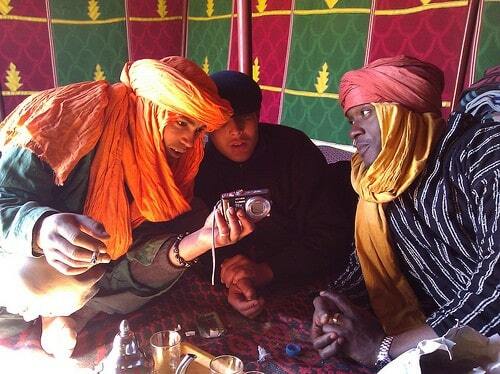 Nomadic southern ‘blue men’ in their flowing robes and tight turbans brave the Sahara but with a twist – their hands clutch the latest in mobile phone technology, for example. And let’s not forget the people, the heart of the place itself. Sit in an al fresco café, watch the world go by, and Moroccans will come by your table to talk sooner or later. Now that’s the best way to enjoy a luxurious weekend while making new friends. After watching countless Island-related movies, my housemate and I decided we must star in one, and hastily booked a holiday to Boa Vista to play the part of beach bums. The second we arrived we were completely blown away by the beautiful landscape that greeted us. The untouched beaches and luscious valleys were almost too much for our eyes to take, and as the smell of tropical food hit our nostrils we realised Boa Vista was not just a heavenly sight. One of our favourite restaurants was ‘Sodade di Nha Terra’ in Sal Rei. The homemade Goat’s cheese was what first attracted us (both being big cheese fans) but once we had dinner there we became completely smitten with the place. I gorged myself on a grilled Grouper fish with chips and rice, while my housemate sampled a platter of local meats, our stomachs were truly satisfied! It was also very cheap and the owners were really friendly, although I would recommend booking on weekends, as it can get very busy. If you start to hunger for a more International flavor I would recommend the Portuguese restaurant Riba d’Olte. Also located in Sal Rei, just 500 meters from the beach, it is in the most idyllic setting. At night the tables are adorned with candles and once a week live Cabo Verde music is performed (a form of folk music, which is sung in Creole). Not only was the atmosphere beautiful, the food was also absolutely delicious! I had the sweat lobster, which is the restaurant’s specialty, accompanied by a lovely wine from the Island of Fago. This is one of the first nice wines I’ve had on the island. Depending on the season, the vino can be rather hit and miss. My housemate had the grilled Serra fish with banana. While this may sound different (at least for our uncultured palettes), it tastes divine! In our second week, we decided to book a flight to Sal. We were eager to explore another island. Our diets the first week mainly consisted of fish. So for this week, we decided to opt for some more international food. This time we choose an Italian restaurant called Kusa Di Kasa (Cose di Casa). The cheese is homemade. There is a wide range of toppings to suit all tastes. If you fancy a pudding, I recommend the homemade ice cream. This was my favorite desert of the whole trip! And on a boiling hot day, there is nothing more satisfying. After sampling a vast number of culinary delights in the Cape Verde Islands, my expanding stomach feels a slight remorse. But the food was so incredible it felt too cruel to deny my taste buds of such heavenly flavors. If taste buds could speak, they’d recommend these Islands highly Or Cape Town South Africa. There are a lot of things to do in Sharm el Sheikh, but before we get into it – let me introduce you to the place. Sharm el Sheikh is a city situated on the southern tip of the Sinai Peninsula, in South Sinai Governorate, Egypt. It is located on the coastal strip along the beautiful shores of the Red Sea, approximately a one hour flight from Cairo. There are plenty of things to do in Sharm el Sheikh, which explains why it attracts international travelers from around the world with a warm and inviting climate 12 months of the year. Below I have listed my top favorite things to do in Sharm El Sheikh – enjoy! Quad biking and dune buggy rentals are the number one activity for action and adventure in the desert. The off-road vehicle tours meet up daily in the heart of Naama Bay for 2 to 11 hour excursions across the rugged terrain. Guests are taken on the fast track through scenic desert beauty and a thrill ride away from civilization on open-air dune buggies. The perfect escape from the desert is to visit Ras Mohammed National Park. These tranquil waters and unspoiled protected wildlife is only a quick journey southward. Ras Mohammed National Park is a picture perfect setting for rest and relaxation, scuba diving, snorkeling or hiking for visitors of all ages and fitness levels. Ras Mohamed National Park in Sharm El Sheikh sits on the tip of the Sinai Peninsula. It’s a marine reserve that has been protected since 1983. 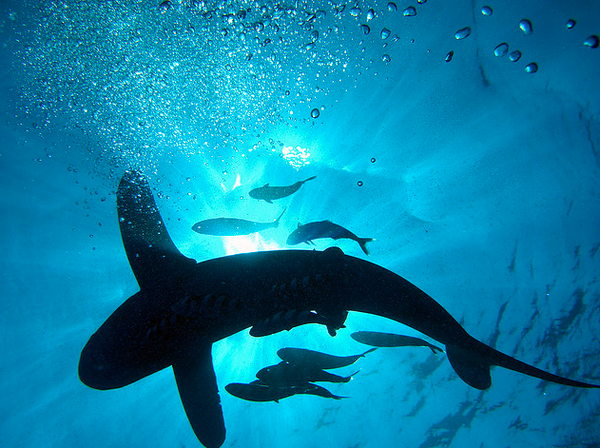 This national park is renowned worldwide for its amazing diving opportunities. The dive from Shark Reef to Yolanda Reef is highly recommended. You will see all, if not most of the different varieties of fish that Sharm El Sheikh has to offer – a definite visit while on a Sharm el Sheikh holiday. Tip: This place is great for sunset photos. Sinai Mountain is amazing by day and just as good by night. You can travel up the mountain by either quad bike, camel or on foot. There are plenty of companies that give guided tours, which will include the Bedouin experience. You can go for a few hours, or camp out Bedouin style for the night. There is a Muslim mosque at the top of the mountain that is still used today. Tip: Sinai is perfect for stargazing because it’s free from light pollution. Sharm el Sheikh is known for it’s friendly and colorful sea creatures, and there’s no better way to meet them up-close and personal than an excursion in a glass bottom boat. Tours generally last about two hours and offer vessel seating with indoor or shaded areas. Take in magnificent coral reefs, exotic fish and perhaps a glimpse of a dolphin or two. One of the many things to do in Sharm el Sheikh is to visit St. Catherine’s Monastery. 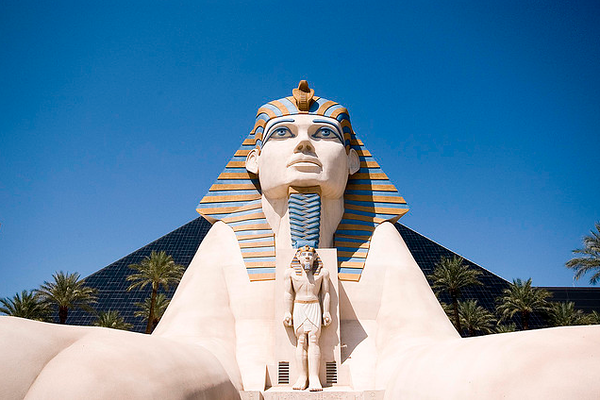 The best way to visit is to book a motor coach tour from the hotels or tour operators in Sharm el-Sheikh. Additional sightseeing may be had with an overnight reservation in one of the hotels central to this attraction, however, the St. Catherine’s Monastery tour may be completed in less than two hours. Visit the dwellings of the monks who keep the monastery working and meet and greet your local hosts. The St. Catherine’s Monastery is regarded as the most famous of it’s kind in the world and should be visited with modest attire and a respectful attitude. For the fit and feisty, a midnight climb up the steep slopes of Mount Moses is the ultimate adventure, and one of the most popular things to do in Sharm el Sheikh. The upward trek contains over three-thousand steps leading to the summit at dawn for a breathtaking bird’s eye view over the jagged Sinai canyons. Jebel Mousa, as it is known in Egypt, takes at least three hours of exhausting climbing with intermittent rest periods along the way. Make sure you bring warm clothing in the winter months as Mount Moses can reach freezing temperatures at night. In addition, nothing but the best walking shoes will do and don’t forget to pack your flashlight and some extra batteries. There you go, these things to do in Sharm El Sheikh will definitely keep you occupied for at least a week, but remember to relax and enjoy the moment as well! With pale desert colored buildings, the smell of apple smoke from the shisha pipes and toothy grins, the red sea coastline that runs for 500 miles and one of the world’s most talked about diving areas – Egypt is a place those who visit will never forget. Located in the city centre of Luxor, there is a small but unique collection of antiquities here – the museum explores the unusual art of mummification, which was carried out thousands of years ago. The Egyptians believed that by utilising these methods, it would give sanctuary to the afterlife. The techniques used incorporate both animals and humans. Artefacts include the mummy of Masaharta, which dates back to the 21st Dynasty and was recovered from a hiding place that contained the mummies of over forty royal figures. Tip: Take a look at the instruments they used to remove the brain, it’s positively chilling! Situated in Luxor, the sheer magnitude of this area will be the first thing that strikes you – it covers 200 acres of an ancient city that was formed in temples, created more than 2000 years ago. It’s the largest temple in Egypt and its majestic pillars remain very well preserved. Tip: It’s cooler here in that afternoon and taking photos at that time will give the best light. 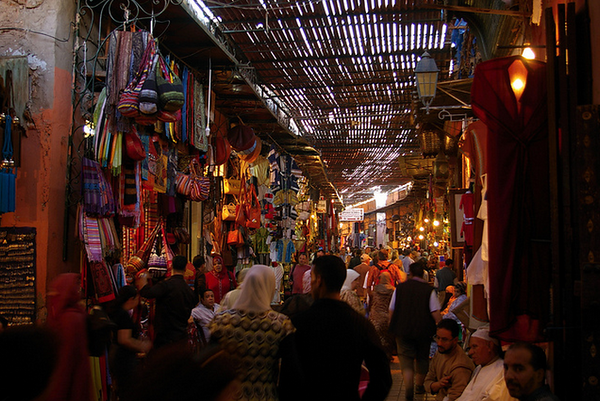 Narrow alleyways and the smell of spices will enchant you as you weave your way through the souk. Leather, jewelry, rugs and slippers are some traditional goods to look out for. Most of them are handmade, and make sure you barter your way to a good price. This is the place to experience the real Egypt, by meeting the people and observing their foods and spices. Tip: Sip some local mint tea, while you are measured up for a traditional Egyptian garment, the jellabiya. A ship wreck and great under water photos are what the diving sites here have to offer. There are over a dozen sites, including the remains of an Egyptian minesweeper. The reefs offer an array of tropical fish like snappers, butterfly fish, goat fish and banner fish. Tip: First time divers can learn and take their diving licence here. Egypt is becoming an increasingly popular destination for tourists, especially Sharm el Sheikh, which is very popular among divers. Another reason for its popularity is that there are more and more cheap holidays to Sharm el Sheikh, making it a destination that more people can afford to explore and enjoy. It is one of the finest diving locations in the world, so although the beaches are beautiful and tempting, there is even more beauty awaiting underneath the surface of that blue, crystal clear water. The contrast of the blue water and the rocky mountains is an otherworldly experience that you won’t forget. Sharm el Sheik has grown from being a small fishing village with 100 citizens to a big tourist destination in just about 40 years, but with 10,000 inhabitants it’s still considered pretty small. Aside from diving, snorkeling, climbing and laying on the beach, you should check out the old town and do some shopping. The old market is lovely, but remember to haggle! A trip to the desert is also a cool activity. 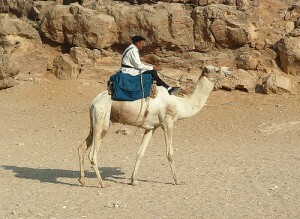 You can go wither with a private guide for several days through the desert on a camel, or just go for a day. For those who go to Sharm el Sheikh for the diving, some of the best places to dive are Tiran and Rad Mohammed, which can be reached by boat. At Ras Mohammed there is a lot of plankton, which attracts huge schools of fish. You will see sharks, murrays, an barracudas, among many others. The only negative thing is that you will share this reef with another 50 or more divers, which certainly makes the experience less authentic and unique. If you want to avoid the crowds at these two reefs and at the SS Thistlegorm wreck, take a diving safari. Then you will be gone for a few days and will be able to dive in places further away, way beyond the day-tripping boats. If you have planned to take a couple of dive trips anyway, you might as well do them all in one bunch – it will not necessarily be more expensive at all, and you will have a much better experience. Renowned for its coastal setting, which naturally attracts flocks of tourists every year, Sharm el Sheikh is located at the southern tip of the Sinai Peninsula in Egypt. It’s generally considered as a paradise for those who seek crystal-clear waters and perfect diving conditions due to its proximity to some magnificent reefs and tropical waters. A holiday in Sharm el Sheikh can be a truly magnificent experience. The resort is very accessible with a large port and airport for those arriving by sea and air respectively. Due to the inflated number of tourists arriving each year, Sharm el Sheikh is constantly developing, giving the airport an unfinished appearance. Yet, once you’ve stepped through the gates, the resort is incredibly beautiful and features a wealth of things to do and see. One stop that tourists will always get a kick out of is Sharm Old Town and in particular, the Old Market. A very traditional and Arabic layout, the Old Market is an attractive series of neat stalls selling rich varieties of items and exotic foods. Beyond the town’s limits lies a vast Desert; many are advised to take guided trips down to the Bedouins and Mount Sinai due to its worldly beauty and extravagant culture. Guides can be done on camel-back or through independent travels and even though there are many cafes and hotels within the area, it’s a far cry from the hustle and bustle of Western culture. 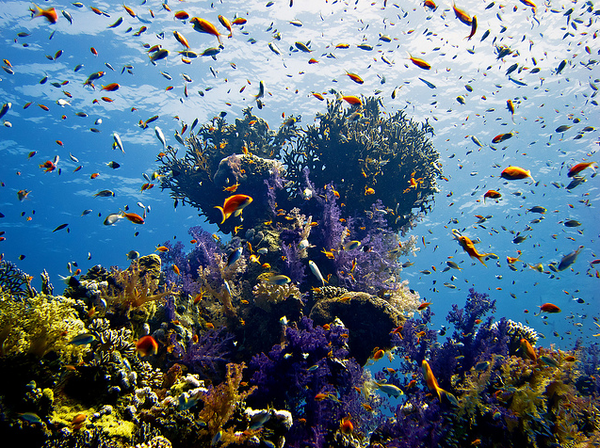 Outside of its bustling tourist industry, Sharm is well known for being one of the best diving locations on Earth. 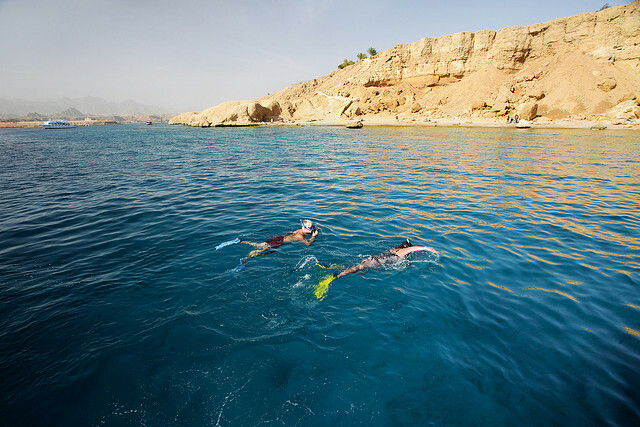 Diving into the warm waters of the Red Sea is said to be quite the majestic experience and the two reefs of Tiran and Ras Mohammed are the best places to start with many opting to book a diving safari. The food is wonderfully eclectic; for those feeling home-sick, there are familiar fast-food joints such as McDonald’s and KFC, but for those wishing to branch out to something alluringly different, Sharm features plenty of traditional restaurants serving the best food in all of Egypt. El Masrien, found in the Old Town, features grilled Egyptian meat accompanied by rice, pasta and vegetables and elsewhere, many markets and restaurants serve fresh catch-of-the-day. Cultural diversity is also on full display with a chain of sumptuous and popular Indian restaurants open in the area. Na’ama Bay, the central hub of tourism in Sharm, was where it all began. The focal point for one of the greatest resorts in the World, Na’ama is a stunning array of colors, smells and sights. During the day, many choose to relax down at the beach but when the sun goes down, the lights come on and Sharm dazzles with its intense beauty and vibrant atmosphere. There are many hotels in the area as one might expect and every way of life is catered for in this holiday haven. Whether you’re there to relax on the sandy beaches or roam the vast Sinai deserts, Sharm el Sheikh will provide you with an experience of a lifetime. Ever since commercial travel became a viable possibility after the Second World War, Egypt has been one of the major destinations for travelers from across the globe. The sheer grandness of the country’s ancient history can still be seen at sites across Egypt, and it would be fair to say that no other place in the world can boast of such important and ancient landmarks as Egypt. Modern name of the ancient city of Thebes, which was the seat of power in Egypt for thousands of years. Its importance is marked by the Valley of the Kings and Valley of the Queens, home to the tombs of former kings, queens, and nobility of Egypt. These major historic sites attract millions of tourists every year, lying just west of Luxor, and can be reached by the many tourist buses that operate daily from the city. While the Valley of the Kings holds 63 tombs, only 18 can be opened, and at any one time there will only be a handful open for visitors. This restricted access is to help preserve the tombs and their contents. Further north lies the modern capital, Cairo. As well as being the center of contemporary Egyptian life, Cairo is also the place from which to visit Egypt’s other great treasure, the historic site home to The Great Pyramid of Giza. The pyramids, as well as other structures like the famous Sphinx, are a thousand years older still than the structures in the Valley of the Kings. Also in Cairo, is The Egyptian Museum, home to the greatest pieces of art and history from ancient Egypt, including the most famous collection in the world, the contents of the tomb of Tutankhamun. Sharm-el-Sheikh is the other major destination for UK travelers, located across the Nile on the Sinai Peninsula in Eastern Egypt. It offers a different experience to the history-based holidays around Cairo and Luxor. On the northern shores of the Red Sea, Sharm-el-Sheikh can offer a beach holiday extraordinaire for those who prefer to spend their time lying on the sand as opposed to learning about those who have lain under it for thousands of years. Unfortunately, Egypt has had problems with terrorism in recent years, particularly those targeting foreign travelers. The Foreign Office has regular updates on the situation and gives travel advice. That said, the authorities in Egypt have worked hard to protect visitors and has largely succeeded in doing so. Millions of foreigners travel there each year without experiencing any trouble whatsoever. What are your thoughts about Egypt? Is it a place you would like to visit? Everyone knows about the pyramids in Egypt – you’d be hard pressed to find Egypt tours that don’t include a visit to Giza. While Giza heads up our list for the five must see places for historical travelers to visit, there are four other places that also fit the bill. It would be impossible to travel to Egypt and not stop by Cairo to visit the pyramids serving as tombs to the pharaohs Khufu, Khafre and Menkaure. These three pyramids are accompanied by the Sphinx and Temple of the Sphinx, in addition to a variety of Queens’ Pyramids and Nobles’ Tombs. Built by a peak workforce of 40,000 people some 4,500 years ago, the pyramids are the first stop on an historical tour of Egypt. 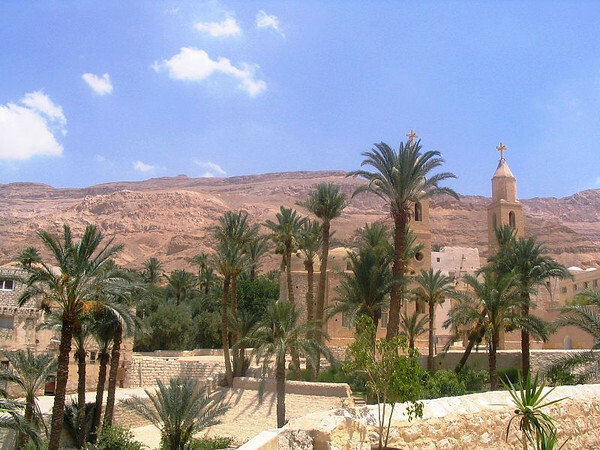 Take a trip to the heart of the Red Sea mountains and discover St Antony’s Monastery in a desert oasis. Found in 356 AD, St Antony’s Monastery was used as a monastic community by St Antony the Great and Julian the Apostate in the 4th century. As the oldest active monastery in the world, it is beautifully preserved, looking like a small scale Egyptian village. Tour the four churches onsite and marvel at the intricate frescos before retiring to the library to examine the largest collection of Coptic manuscripts in Egypt. Perfect for a day trip if you’re staying in Cairo, Tell Basta is only 80 kilometers away in the Eastern Nile Delta. This ancient city is a current excavation site where archaeologists are still discovering ceramics and other assorted wares. Built during the 4th dynasty, Tell Basta was religious center for the cult of Bastet and you can still see monuments there depicting the lion goddess. 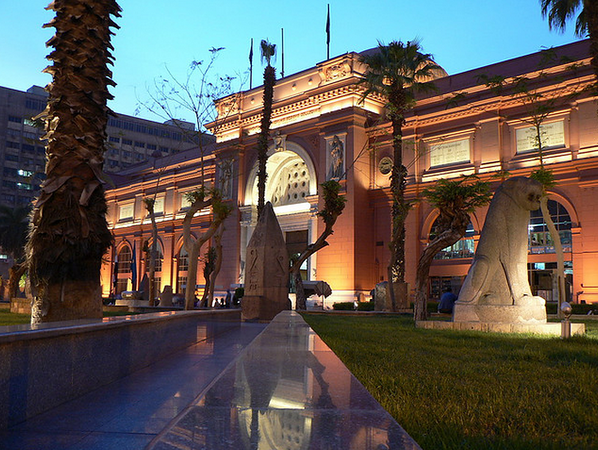 Opened in 1902, The Egyptian Museum of Antiquities is home to the most astonishing ancient treasures discovered in Egypt. 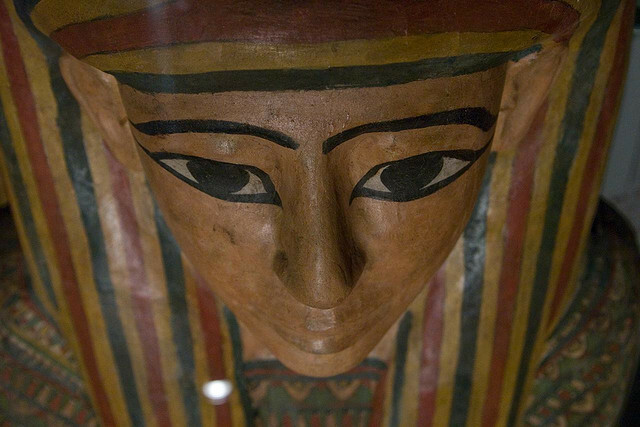 From Tutankhamen’s death mask to the Royal Mummies room, there is something to interest every historical traveller. There are over 100,000 pieces on display at the museum so be sure to plan your visit in advance to make sure you don’t miss out on anything. There is so much to see and do for history-focused travelers in Egypt. Hire a car or make use of Egypt’s extensive public transport system and take in every historical site this country has to offer. For the historical traveler with a sense of adventure, the Catacombs of Komash-Shaqqafa is a site not to be missed. Built in the 2nd century AD, the Catacombs are not for the faint of heart, as they house some 300 bodies distributed across three levels. Allocate a couple of hours to explore the maze of passageways linking rooms, a banqueting hall and the main tomb. The ornate decorations will catch your eye as you move through the site, showcasing a harmonious blend of Egyptian, Greek and Roman art. You are a homebody, so travelling has never really been your cup of tea. In fact, you are like one of those hobbits from the Lord of the Rings who does not like going on adventures. Sure, you might get over to Liverpool once in a while to catch a football game, or take a weekend jaunt in the country for some hiking. However, when it comes to big, elaborate and extravagant trips, you are not a fan. They say that opposites attract, and this certainly seems to be the case when it comes to you and your wife. As luck would have it, she has a vagabond spirit. She lives, breathes and marks her time by holidays. Every year, she has to slowly and carefully coax you to take a trip with her. When she mentioned taking a tour of Egypt this summer, you cringed. However, what choice did you have? When your wife first mentioned Egypt, you thought of sand, wind and blinding dust storms. You imagined yourself on a camel in an arid desert. The one thing you did not imagine was first-class luxury. You could not have been more misguided. You are standing on the top deck of the Royal Lily, a modern cruise ship with 56 luxurious cabins. 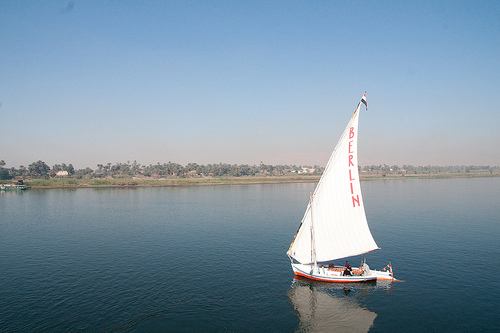 You should be tired – the itinerary throughout the day was jam-packed, but there is something about the boat and the Nile that gives you an idyllic feeling. From the Tombs of the Pharaohs and the Valley of the Kings to the Colossi of Memnon, you have seen more historical sights today than in your forty years on the planet. You decide to buy postcards. In fact, you buy a monstrous stack of postcards and begin writing to everyone you know. In twenty years of marriage, your wife has never seen you behave like this. 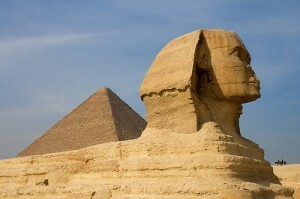 You write long, flowing description of the Great Pyramids and the Sphinx of Giza. There are not enough words to describe the Amon-Ra at Karnak. Egypt is agreeing with you. It is no longer your wife who is telling you about the daily itinerary and excursions, but you who is explaining it to you. Over breakfast, you give her a detailed lecture about the Temple of Edfu. You mention Sobek, the Egyptian crocodile god, as if he was one of your favorite footballers. Your wife has a theory. She says that it was not travel you disliked so much over the years, but the endless hassles and complicated logistics – the Royal Lily made Egypt easy. 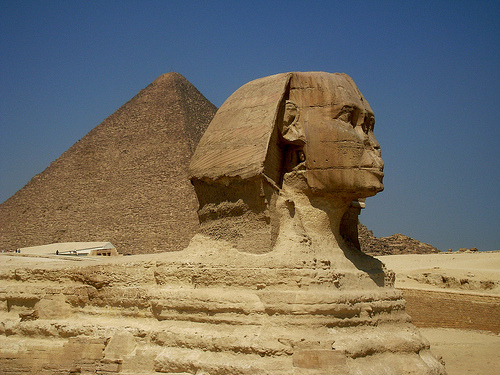 How To Explore Egypt: Egypt is one of those destinations which will always surprise you. Many visitors come here simply looking for sun, sea and sand, and hole up for a week or two in a lush all inclusive resort with five-star service and everything they could ever need available on tap. While this perfectly suits those who are looking for nothing more than to chill out and top up their tan, the danger is that you can miss out on an incredible world of mystery and intrigue. To really get the most out of your Egypt holiday, don’t get too settled. Either book onto some excursions and enjoy the chance to get out and about, or check out the public transport system and find your own way around. The range of excursions on offer are hugely varied – they can be fun-filled adventures such as jeep safaris or camel treks, short trips to a local landmark or beauty spot, or perhaps a full day excursion to see some of the most important historical sites of Egypt. Whatever you fancy, there are trips aplenty to help you make the most of your visit. 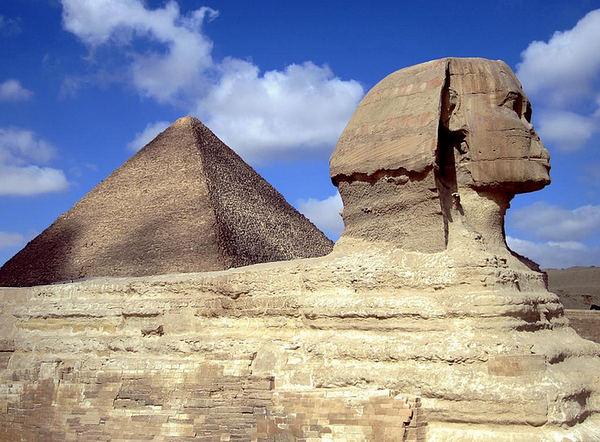 After all, no trip to Egypt would be complete without seeing some of its incredible ancient monuments. 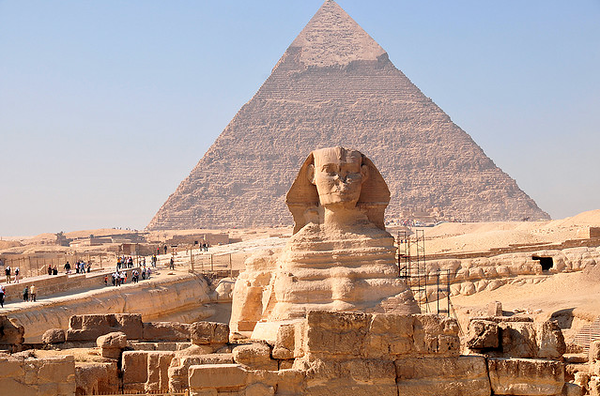 From the Pyramids of Giza and the towering Great Sphinx, to wandering around the magnificent temples and soaring pillars, these awe-inspiring relics of ancient civilizations have to be seen to be believed. If you’re worried about your holiday budget, fear not. Travelling to Egypt is now as easy as ever before thanks to the myriad of low-cost holidays available, which range from picking your own low-cost scheduled flights to booking package breaks with the likes of Thomas Cook holiday deals. However you get here, be sure to plan your trip carefully to make sure you get out and about and make the most out of your experience. 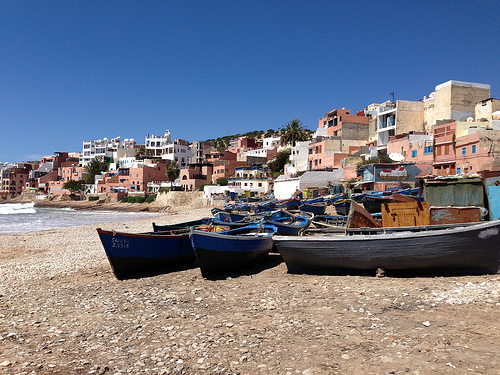 A trip to North Africa will promise to give you a fascinating experience full of history, culture and great beaches. Whether you decide upon holidays in Tunisia, Egypt, Morocco or the Gambia you will be certain to receive a cheerful and memorable welcome and enjoy an unforgettable stay in one of the world’s most fascinating countries. Trips with tour operators, can bring this world to your doorstep, offering you a ready made deal including flights and accommodation, leaving you free to plan the excursions for your stay. The fantastic climate is perfect for those who wish to sun bathe on the glorious beaches or relax under the shade of the palm trees surrounding the luxurious resorts. But the real draw of Africa lies in its colorful past. The Gambia has a turbulent and overwhelming history with its roots set at the heart of the slave trade, and many mementos of this terrible experience exist today. It is a cultural mine of information; but the Gambia doesn’t spend all of its time looking back. Tourism has developed at pace here, and visitors delight in its sub-tropical climate, endless sandy beaches and contemporary hotels. Tunisia is one of Africa’s most popular holiday destinations, thanks to its endless golden sands and beautiful green landscapes giving way to mountains, rivers and lakes. The scenery is picturesque and the wildlife is abundant. Egypt of course is well known for its vast historical wealth of pyramids, Egyptian pharaohs and breathtaking monuments but it has also become a diving mecca and a holiday hot spot with excellent resorts throughout the region. Then there’s Morocco with its multitude of cultural influences – from bustling market towns to idyllic beaches – which will delight and charm you during your stay. The North of Africa is home to so much and to book your next vacation in any one of these regions will be the start of a lifelong fascination. One of the hottest new cruise destinations is the Red Sea – this destination is incredible historic, boasts some breathtaking scenery and is home to countless attractions and monuments in both Egypt and Jordan. Many people are also surprised to find out that the Red Sea is home to several beautiful beaches, as well as recreation opportunities like scuba diving and swimming. 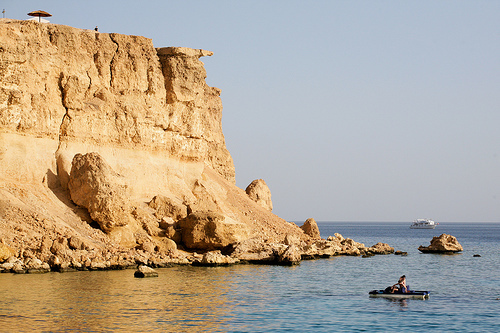 Keep reading to learn more about the top five destinations on a Red Sea Cruise. Why not check out Thomson Cruises for great deals around the Red Sea. This is easily one of the most popular destinations for a cruise in the Red Sea. 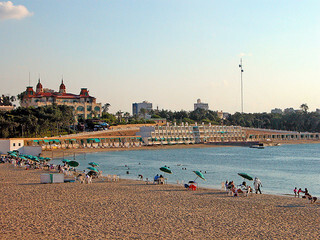 Although there is no main tourism attraction per se, the beach itself is what draws in millions of visitors each year. 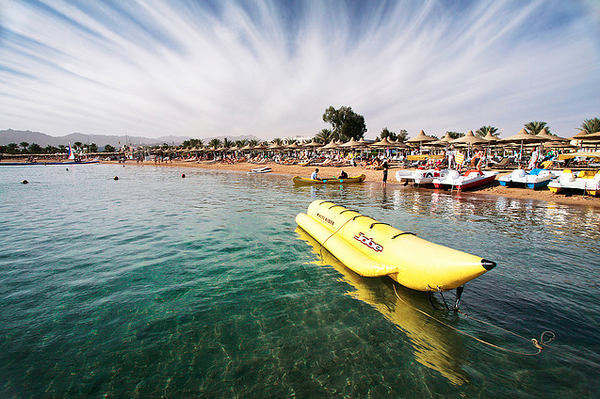 While swimming, tanning, relaxing or exploring the beach are all great ways to pass the time, it is the snorkeling and scuba diving that makes Sharm el Sheikh the most popular and impressive beach resort in all of Egypt. Few people have heard of Port Sokhna, but it is where most cruise passengers disembark to explore Cairo, which is just a few miles from the port itself. In the city of Cairo there are countless attractions to explore, including the Museum of Cairo and the Coptic Museum, but it is the nearby Sphinx and Pyramids of Giza that people are typically the most excited to see. Located on the banks of the Nile River, Luxor was once the capital of the Egyptian civilization. Today, it is a top destination for travelers who want to get an insight into the deep history of this place. Passengers will typically disembark at Port Safaga and travel the 45 minutes to nearby Luxor in order to explore the Valley of the Kings. It is here that visitors will be able to see the Tomb of Tutankhamun, the Tomb of Ramesses VI and countless other ancient historic landmarks. Parts of the Red Sea border the beautiful country of Jordan, and there is no destination more remarkable to visit than Petra. 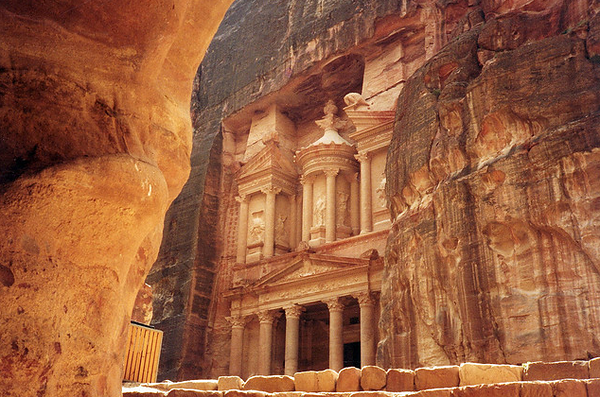 Petra is a designated UNESCO World Heritage Site, and boasts several different structures carved from the almost pink rocks. Although Hurghada may not be quite as big or as popular as Sharm el Sheikh, it is certainly every bit as beautiful. This coastal destination in Egypt is a common location for the cheapest cruises in the Red Sea, and the area offers great opportunities for scuba diving, swimming, snorkeling or even horseback riding on the beach. It is clear to see that cruises along the Red Sea offer everything from historical landmarks to relaxing beaches for passengers to enjoy whilst on their holidays. Such sights as the temples of ancient pharaohs, its famous pyramids and archaeological significance will open your eyes and gauge your senses. With temperatures of around 20oC, you can relax and explore at your leisure. Marrakech/Morocco in general was on the of the most fascinating trips I've ever taken. It was one of the first times that I really truly felt I was experiencing a non-western culture. The food and spices looked so vibrant and were so tasty. I am a big mint tea drinker and I was in heaven. Haha I know!! There was one place where we simply couldn't buy anything, no matter how hard they tried: a carpet shop. The carpets were huge, way to big to take home on a plane (otherwise we probably would have ended up buying one..!). hi! I agree, it's such an exotic place, and still so close to Europe! I absolutely love their food, and although I'm not usually very fond of mint tea, I really liked theirs, it wasn't at all like what I'm used to..! This is by far the coolest pharmacy I've seen. I'm sure I would have made up ailments as well just to see what they whipped up. On a roadside in Malawi, I saw a medicine man selling stuff out of a suitcase, including hedgehog skins. I can assure you that I did NOT buy anything there! Hi there! I am so glad you enjoyed your trip in Morocco, I am Moroccan expat living in the US, and pharmacist. I just wanted to point out that that is not really a pharmacy. It’s what we call “3atar”. The herbs and spices that he sells are mainly for cooking, but there are some herbal supplements that you could use for certain conditions but that is not a replacement for therapy. Most moroccans follow allopathic medicine and go to regular pharmacies to get their medications.